Despite being denied a job once because the head teacher felt he won’t be able to handle students with his small frame, coupled with the disrespectful attitude of some students, one of whom had challenged him to a fight; Mr. Olasunkanmi Opeifa was not deterred, his passion for the teaching profession and the belief that he will one day become the richest teacher in the world were his driving force. 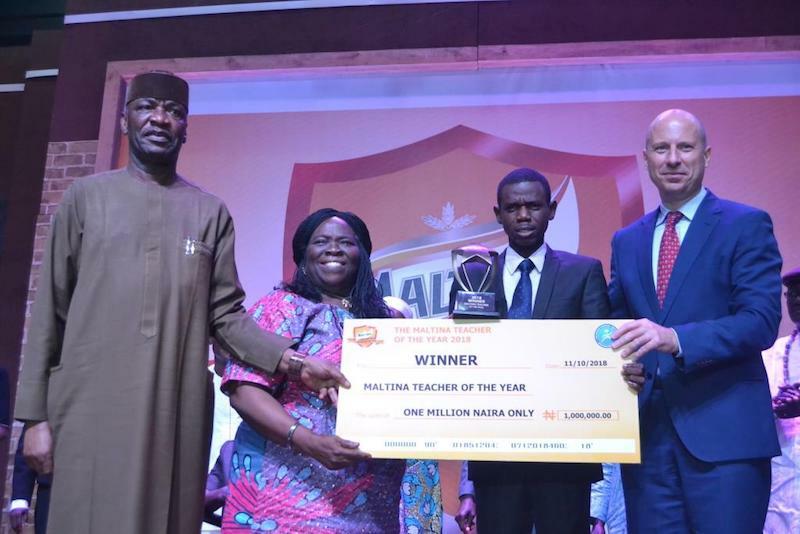 This passion, hard work and determination were recently rewarded by Nigerian Breweries Plc, as he emerged the 2018 Maltina Teacher of the Year, an initiative of Nigerian Breweries-Felix Ohiwerei Education Trust Fund, aimed at recognising, celebrating and motivating teachers in the country. At a grand ceremony in Lagos recently to honour the outstanding teachers, Opeifa, who teaches English Language at the Government Day Secondary School, Karu, Abuja received N1 million in addition to N500,000 he got as the state champion from Abuja. 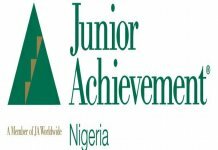 He will also get N1 million every year for the next five years, while a block of six classrooms will be built at his school. Also, Olalekan Adeeko, a Computer Studies teacher at Baptist Boys High School, Abeokuta, Ogun State emerged the first runner-up, while Mr. Samuel Temitope Popoola, a Physics teacher at Deeper Life High School, Akure, Ondo State was the second runner-up. Apart from the N500,000 reward as state champion, the first and second runners-up got an additional N1 million and N750,000 respectively. In total, the ceremony produced 26 state champions, each of them receiving N500,000. Opeifa, who was visibly elated, said he had always wanted to be a teacher since he was in primary three and after studying his Social Studies textbook then, he used to teach his mates topics in the textbook. Also, he said his desire to become a teacher was further strengthened by the level of respect a female teacher he knew used to get back then. “We used to have a female teacher on my street and whenever she was returning home, parents would send their children to help her carry her bags. I admired her because of the respect she commands and I resolved to be like her someday. “Teaching is so interesting to me, regardless of teachers’ low financial status, I was still passionate about the profession and I believed that I will one day be the richest teacher in the world; the opportunity is there,” he said. Asked what his challenges on the job are, the 32-year-old said one of his greatest challenges has to do with his stature. 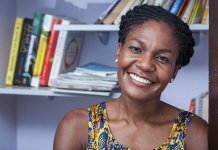 “I remember my interview with one of the secondary schools in Lagos, after doing well, the head teacher asked how I will handle students with my stature and I said ‘is it a boxing ring, I am not going there to fight; a man with knowledge is a man with authority, once I dish out my knowledge, I have the power in the classroom’. because of that I didn’t take the job, I went to another school and the same year, I got a job in the FCT. In his remarks, the Managing Director, Mr. Jordi Borrut Bel explained that in line with its philosophy of Winning with Nigeria, Nigerian Breweries resolved in 1994 to play a more active role in the development of education in Nigeria when it established the Felix Ohiwerei Education Trust Fund with a commencement capital of N100 million. He added that in 2015, the company’s intervention in education was expanded to include teachers when the Maltina Teacher of the Year initiative was launched. He said the initiative was hinged on the realisation that teachers hardly get the recognition they deserve in spite of the pivotal role they play in determining the quality of education and the future of the country. Also speaking, the Minister of State for Education, Professor Anthony Anwukah commended the company for being at the forefront of improving the education sector by continually investing in infrastructure, encouraging teachers and students and the cycle as a whole. Since inception, the Maltina Teacher of the Year initiative has produced four winners: Rose Nkemdilim Obi from Anambra State (2015); Imoh Essien from Akwa Ibom State (2016); Felix Ariguzo from Delta State (2017); as well as and the current champion.